On the blog today, we’ve got a wonderful planner printable for you to download and use in your planner. This planner printable is the perfect way to keep yourself organised. 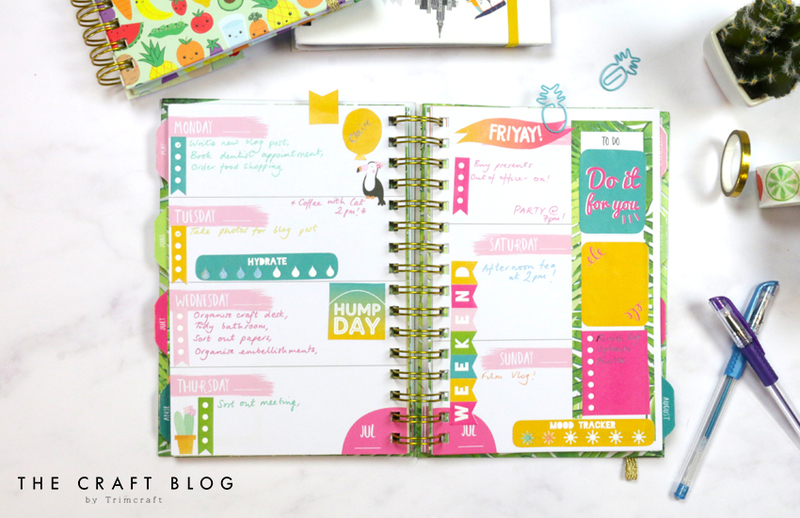 Whether you’re in need of something to help you keep track of your to-do lists and appointments, or you’re super busy, this planner printable is sure to help you stay on track! All you need to do is download the free template, print it off, and cut out the elements you want to use! We’ve got a water tracker to help you keep track of how much water you drink in a day, a mood tracker, motivational quotes, and little bullet point banners to help you keep track of important things. Feel free to use as many or as few as you like – the best thing about planning is that you can really make it your own, so customise your layout with these little elements how you like! Download your free planner printable here! We’re excited to announce a brand new set of planners for 2018! This summer will see the launch of six new designs under the First Edition Plans brand, which will help to keep you on track! This new range of planners includes a variety of themes, such as Everyday, Wedding, Health, Pregnancy, and travel. These will really be a joy to use and they’ll make a lovely keepsake to hold on to - even after you’ve finished using them. All our planners are undated too – so you can start getting on track from the moment you get your hands on them! Getting organised doesn't have to be boring! Each planner has been designed to perfection, making them the perfect desktop or handbag accessory. Take a look at this Tropical-inspired Everyday planner, for example, with its stunning gold foil and trendy palm leaf design! These are perfect for taking on-the-go too - each planner comes with an elastic closure to keep your notes neat and tidy. Inside, there’s plenty of room to record your appointments, memories, and events, as well as all of your important details to help you keep super organised. We've got two wonderful Everyday planners for you - as well as the trendy Tropical design, there's the chic Watercolour Everyday planner. We absolutely love the colours on this. 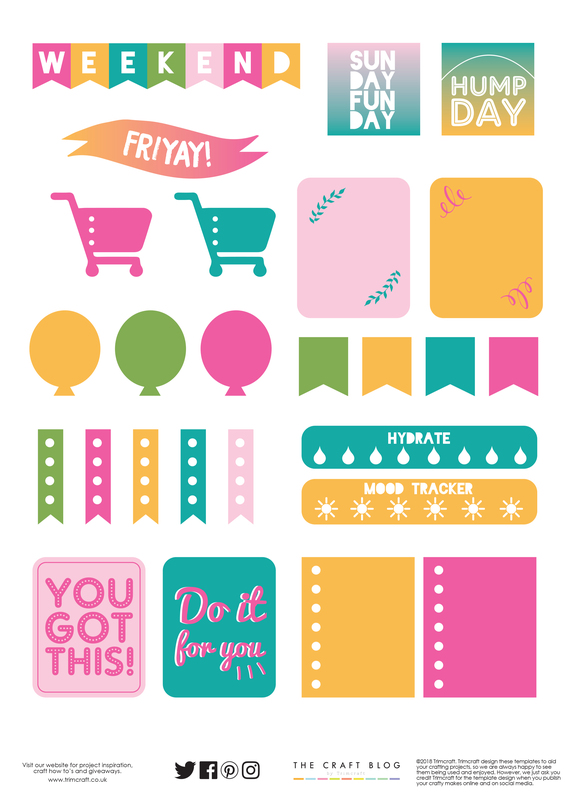 Each planner also comes with two pages of handy stickers for you to add to your layouts. As practical as they stylish, these planners are the perfect companion for busy bees! Each planner is also bursting with inspirational quotes too, to help keep you super motivated. To help you organise your self-care easily, we also bring you a brand new First Edition Health planner! This fun spiral-bound planner has plenty of space for you to record your weekly activities, set goals, and much more with its weekly check-in pages and exercise log. From jotting down appointments to managing your diet, this planner is the perfect place to track your achievements and health goals. The cover features a fun, yet adorable fruit design. Or why not get organised for your next trip with the First Edition Travel Planner?! This thoughtfully laid-out planner is the perfect place to jot down your trip ideas, plans and memories. Allowing you to get the most out of your holidays, this planner includes pages for research, itineraries, budget, and more, for wherever in the world your travels take you. This is the perfect size for taking on-the-go, too! If it's your big day that you're planning, then the First Edition Wedding planner is there for you every step of the way! With thoughtfully organised sections, as well as space to insert photographs, this stylish planner will make the perfect gift for a bride-to-be and can be treasured long after the big day! There's also a Pregnancy Planner, which will be a wonderful memento to look back on once your baby has arrived, and it would also be the perfect gift for any mum-to-be! Perfect for counting down to the arrival of your little bundle of joy, this will help to keep you super organised, giving you space to jot down appointments, name ideas and more! And there you have it! The six brand new planners from First Edition! Which is your favourite? Keep your eyes peeled in stores over the next few weeks to pick up your own!